Conan 1.5 was released last week with some progress in features announced for 1.4. This release is not so full of features but there are still some great new things to share! After a huge refactor of the dependency graph now you can see build_requires represented in it. 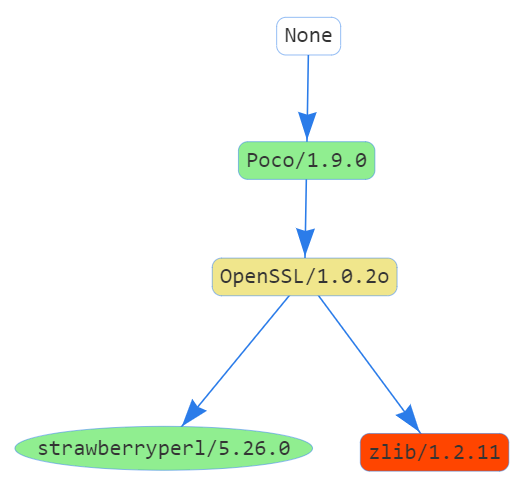 This feature is visible in conan info --graph (represented in colors). Dependency declaration order in recipes is respected too (as long as it doesn’t break the dependency graph order). After a lot of new issues with feedback for the new SCM feature, we worked on some improvements to make it better. There is now a new submodule argument to recursively clone submodules. Now you can also use exports and exports_sources together with scm attribute. conan create will copy exports and export sources first, then it will apply SCM and finally the source() method (in case you want to use the latest for patching for example). This will also manage symlinks and, while developing locally, the gitignored files won’t be copied from the local repository. We released and received a lot of feedback regarding Workspaces. Stay tuned for improvements! conan user command is now able to show authenticated users and includes a --json argument for JSON output. SystemPackageTools now also supports Manjaro. There is a new Macos version sub-setting in the default settings.yml file to account for the “min OSX version” configuration.